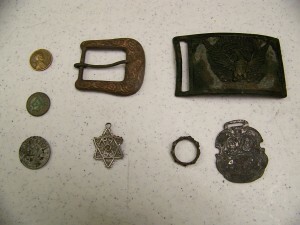 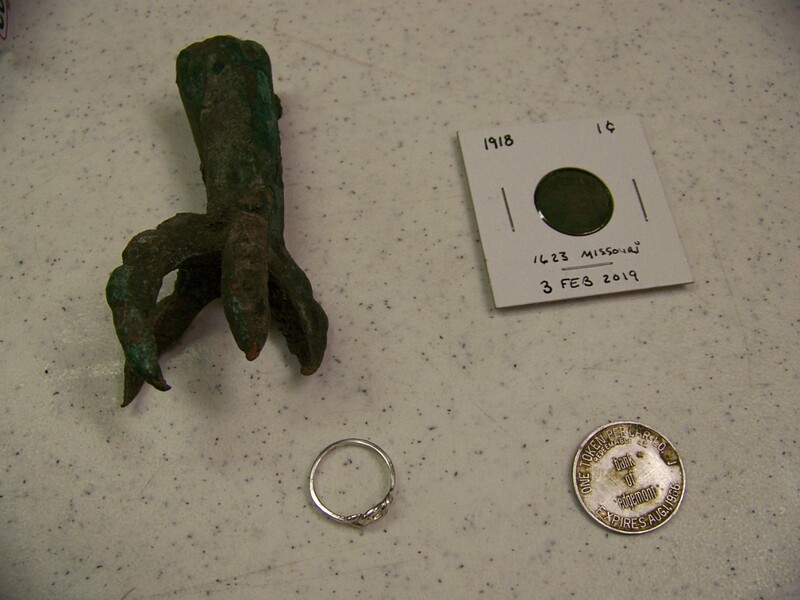 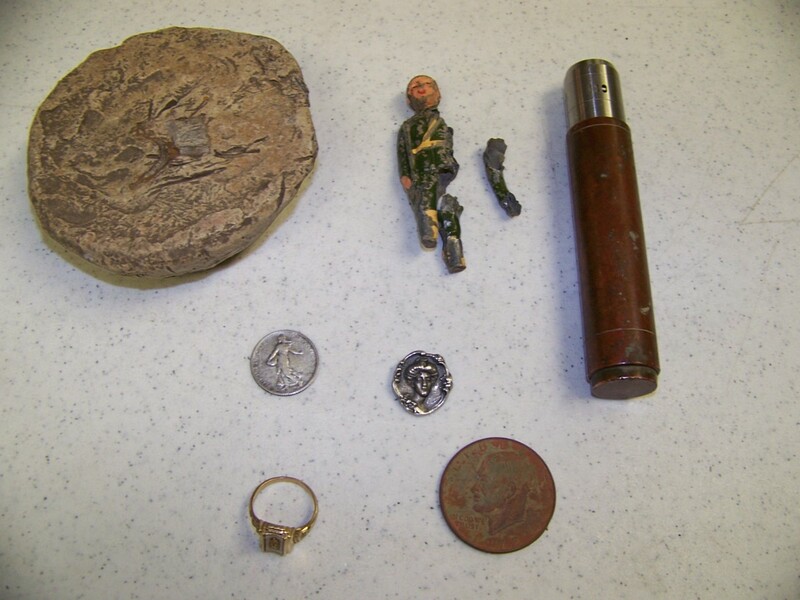 Photos and details of the monthly finds are posted here-left double-click on photo to see enlarged view. Rick found this 4/5″ deep at a park in Troy Illinois. 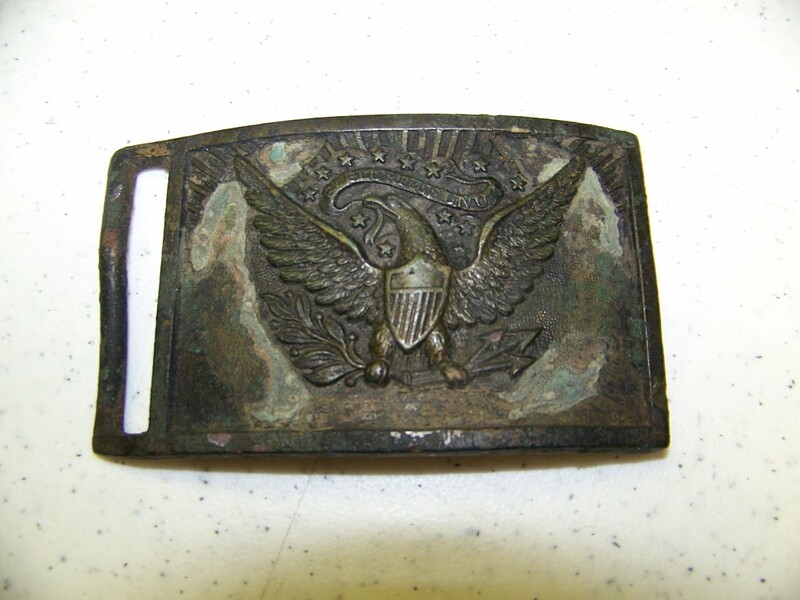 It is an 1851 pattern waist belt plate, but is missing the silver soldered wreath. It is a Union Calvary enlisted O’Donnell and Campbell type.